I always tell my clients that submitting applications without networking is like only completing 50% of the application process. Networking in your job search is a MUST and when done properly, it will land you interviews. Today I’m going to focus on leveraging networking after you have applied for a job and want to get that application noticed. 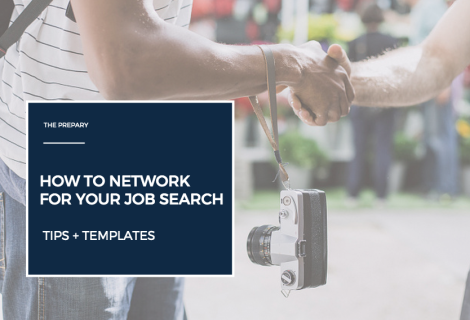 You’ll want to use this type of networking when it can do the most for you, so first and foremost, you must be qualified for the job you’re applying for. It’s ok to stretch a bit, but if you are stretching too much, people will feel like you’re wasting their time. Second, you should use this type of networking after you’ve applied for the job through the companies preferred method (generally via their website). You want to stand out, but also be accommodating and never ignore the process. Lastly, whether you’re reaching out to a 1st, 2nd, or 3rd degree connection, you’re asking for someone to do you a favor. Approach respectfully and without any entitlement. You can use these templates as a guide or starting point but remember that the more customized your outreach is, the better results you’ll have. Hope all is well! [any other catch up related stuff, depending on how close you are and how often you see this person]. I wanted to let you know that I recently applied for the [job title] role at [company name]. I have prior experience with [anything relevant] and a strong interest in [industry or dept] so I think it would be a great fit. I would really appreciate anything you can do to help get my resume to the right place or any advice you have for me to get my foot in the door. I noticed on LinkedIn that you are connected to [person at company who they know]. I’m not sure how well you know him/her, but if you are comfortable I would really appreciate you passing along my interest and resume to them. I am reaching out to introduce myself and express my interest in the [job name] job which I applied for [when you applied]. I am a [describe yourself] with prior experience in [cater to the job]. After reading the job description, I am confident that my ability to [strengths catered to the job] will make me a great asset to the team. I’ve attached my resume [if not a linkedin msg] and hope to have the opportunity to learn more about the role and share my background. You’ll need to leverage LinkedIn to find out if you have any 2nd degree connections or to find 3rd degree connections. I have a whole article on this here. What networking tactics have worked for you? Leave a comment if you have anything to add!